I hate it. 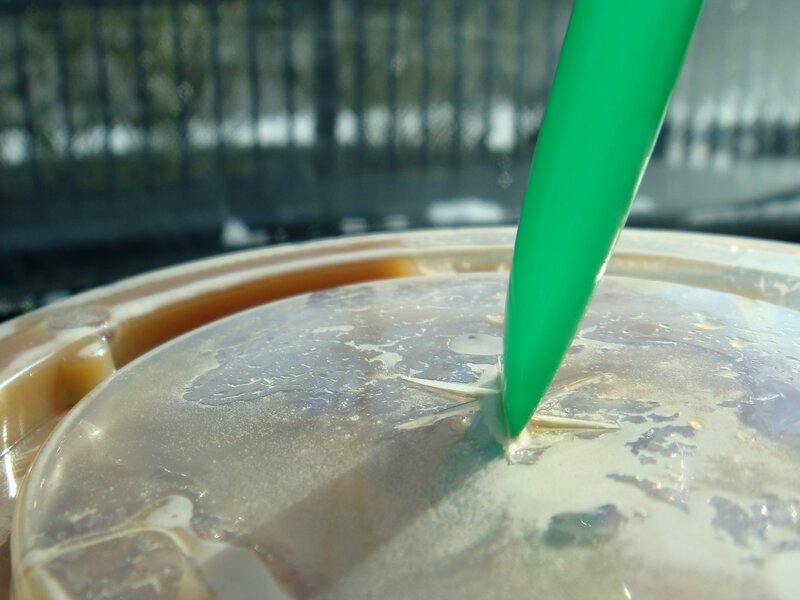 Especially since I get a Caramel Macchiato… and one of my favorite things about this drink, is that the caramel settles at the bottom of the cup and then gets sucked up through the straw. 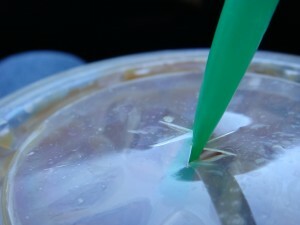 However, when the straw collapes like this, the caramel gets stuck on the other side of the crease! 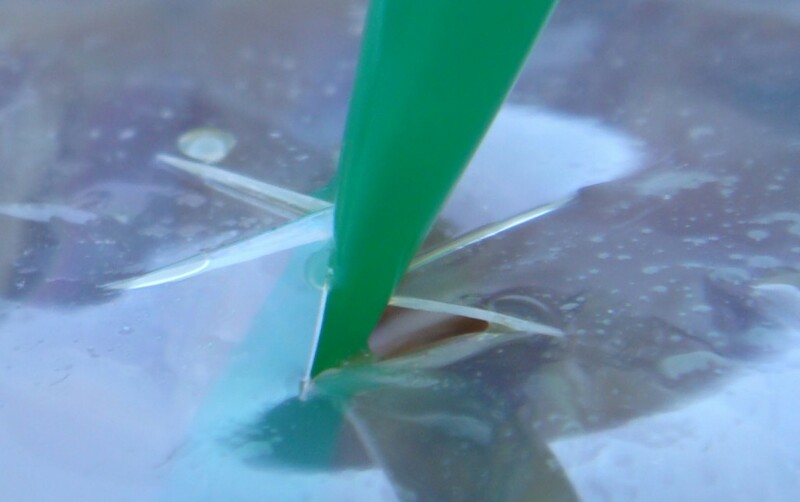 I also noticed that the cold cups were different in both Florida and Vegas when we where there… they had a sort of rounded indent at the bottom of the cup… like a bottle of wine. My guess is that this is Starbucks way of saving money. I’m wondering how long before those cups hit New England. My friend, The Missus over at On Common Ground, also noticed that they changed their soymilk brand from Silk to some generic brand… to her dismay. My solution? I’ve been using my finer to “rip” the plastic opening and make it a little larger. Anyone else notice businesses cutting back on costs by changing packages, brands or the sizes of items?? ?